You're invited to ATypI’s sixty-second annual conference! Join the global typographic community in Antwerp, Belgium, September 11–15, 2018, where ATypI will celebrate more than sixty years of typographic education, heritage, technology, business, and camaraderie. After a quarter of a century, ATypI returns to Antwerp for our 2018 annual conference. Belgium’s most populous city proper has a rich cultural history spanning centuries. It has played an important role in art, politics, and religion, and, more specifically, in the development of western typography. Antwerp is the home of the Plantin-Moretus Museum, a unique institution which, in 2005, was awarded the status of a UNESCO World Heritage Site. Besides housing the two oldest surviving printing presses in the world, an exceptional collection of typographic material, and an extensive library, the preservation of its entire commercial archives give an unprecedented insight in the business of book printing and typefounding since the sixteenth century. The theme of ATypI’s 2018 conference is Type Legacies: honouring the heritage, designing type today. By honouring our heritage, we reflect on the rich tradition of type to gain insights into the contemporary practice and inspire the future. 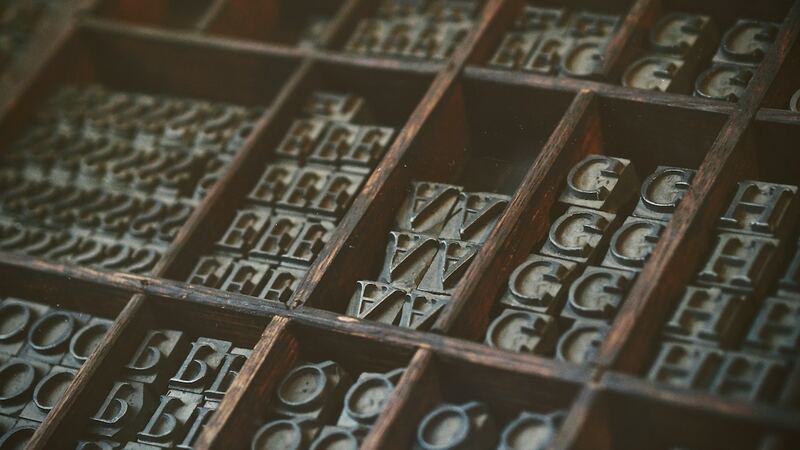 A deep understanding of typographic history guides us when we design and educate, when we draw and code, when we develop fonts destined for today and tomorrow. What came before becomes the foundation for our present realities and the inspiration for future possibilities. Principles from classical calligraphy can be applied to feature-rich fonts. Renaissance type making can be echoed in the proportions and metrics of contemporary fonts. And the superlative accomplishments of Plantin’s polyglot Bible of the sixteenth century can inform multi-language, multi-script solutions for increasingly globalised communities. It is in this spirit of comprehension and inclusion that the ATypI 2018 conference invites designers, typographers, type designers, and type enthusiasts worldwide to celebrate Type Legacies in Antwerp this September. The call for presentations for ATypI 2018 is now open. Deadline for submissions has been extended to Monday, May 7, 2018. To submit a presentation proposal for ATypI 2018, log in to your existing account or create an account here. If you had an ATypI account in past years on Dryfta, you may need to change your password before you are able to log in. Your registered email address serves as your user name. Return visitors, please make sure you use the same email address that you registered previously. ATypI 2018 will take place in a variety of stunning venues in Antwerp. Tuesday, 11 September: Pre-conference optional workshops and associated events. Venues to be announced. Wednesday–Saturday, 12–15 September: The main conference programme, exhibitions, demonstrations, and special events. Venues to be announced. STAY TUNED FOR MORE INFORMATION ABOUT ATYPI ANTWERP! YOU WON'T WANT TO MISS THIS FANTASTIC EVENT!